The bill will be sent to Gov. 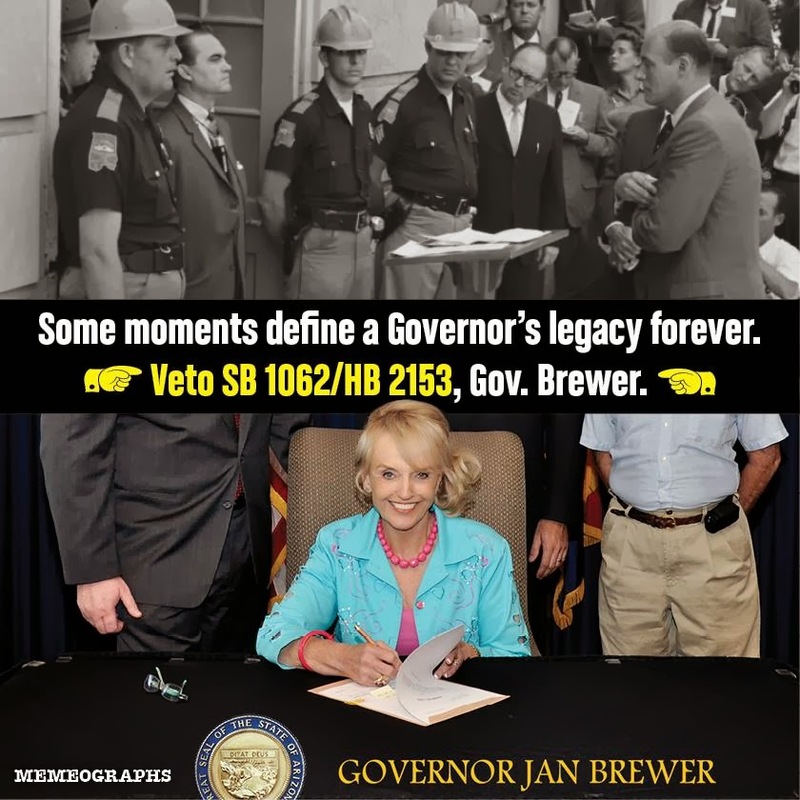 Jan Brewer, who has five days to sign it into law, veto it or do nothing and allow it to become law. Specifically, the legislation proposes to: -- Expand the state’s definition of the exercise of religion to include both the practice and observance of religion. -- Allow someone to assert a legal claim of free exercise of religion regardless of whether the government is a party to the proceedings. -- Expand those protected under the state’s free-exercise-of-religion law to “any individual, association, partnership, corporation, church, religious assembly or institution or other business organization.” -- Establish wording that says that in order to assert a free-exercise-of-religion defense, the individual, business or church must establish that its action is motivated by a religious belief, that the belief is sincerely held and that the belief is substantially burdened. The votes on the bill were mostly along party lines, with Republicans supporting and Democrats opposing. Three Republicans — Ethan Orr, Kate Brophy-McGee and Heather Carter — voted against it.